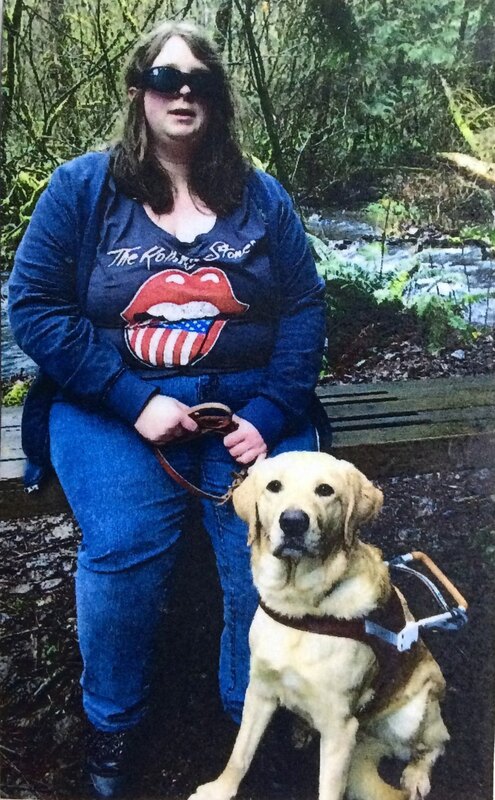 At about 6:45 p.m. on Tuesday, Jan. 29, 2019, Tiffany Taylor and her guide dog Sapphire were crossing SE Monterey Ave. in a crosswalk near the Clackamas Town Center. An unknown vehicle struck Sapphire as she led Ms. Taylor across the street. Ms. Taylor is visually impaired and depends on Sapphire for mobility. Sapphire is a 4-year-old Golden Labrador, and has served as Tiffany’s guide dog for about a year. Sapphire was provided to Taylor by Guide Dogs for the Blind. A photo of Ms. Taylor and Sapphire is attached. Anyone with information on the crime -- which occurred around 6:45 p.m. Tuesday, Jan. 29 -- is asked to contact the Sheriff’s Office Tip Line at 503-723-4949 or by using the online tip form at https://web3.clackamas.us/contact/tip.jsp. Please reference CCSO Case #19-002406. Tiffany Taylor is willing to speak to local media outlets. To contact her, please email the acting PIO. NOTE TO MEDIA: Please contact the acting PIO by email only.